Attendees at the ‘No Place For Hate’ event. 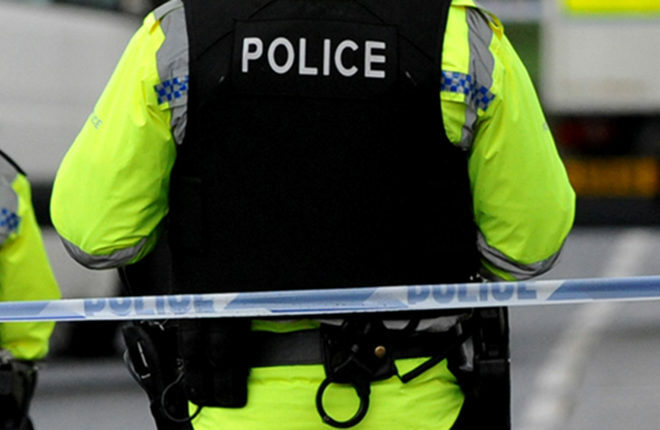 FIGURES which show that an average of one hate crime per week is reported in the Fermanagh and Omagh area are merely the ‘tip of the iceberg,’ the local District Commander has said. Superintendent Clive Beatty was speaking at the ‘No Place for Hate Crime’ event in Omagh Youth Centre on Monday night. Approximately 70 people, including many young adults, were among those who attended the seminar bringing together statutory, voluntary and support services to discuss the extent and impact of hate crime. Up until this week, a total of 39 hate crimes and 59 hate incidents had been reported to the PSNI across the district during the current year from last March. “One hate crime is reported per week in this district, and that is only the tip of the iceberg,” the Superintendent said. “We genuinely believe that there are more, but it is hidden and people don’t have the confidence to come forward and tell us. “Statistics are not really telling us the true picture about the extent of hate crime and we’re just not sure about how widespread it is in this area. “The fact that people aren’t reporting incidents is potentially down to a number of factors, including lack of awareness about reporting, a lack of confidence in the process and perhaps a lack of knowledge about the levels of support which exist now. Aubrey Murray from the Public Prosecution Service told those at the event that figures showed there were 335 incidents of hate crime reported to them by the PSNI during 2017-2018. He added that this was the second year which had witnessed a drop, and that two-thirds of the 228 cases prosecuted had resulted in convictions. Of these, 104 were in the western region, a majority of 33 which were race and sectarian hate crimes. There were 14 related to religion and faith, eight in relation to homophobic and transphobic, six in relation to disability and 10 attributed to a number of separate reasons.